1. Download the free app for Outlook on the Apple Store or Google Play. 3. Follow the prompts and use your new email address and password assigned to you. PS: Do not change any servers unless required by your IT professional. Outlook will auto detect the correct settings and servers. Make sure you are on WIFI or on mobile data when you set this up. The setup takes a couple of minutes. NOTE: Android mail apps may look different across different devices, and the directions given may not exactly match the options that you see. Use these steps as a guide or consult the manufacturer’s help for your particular device. You can also choose to set up mail using the built-in Android Gmail app. 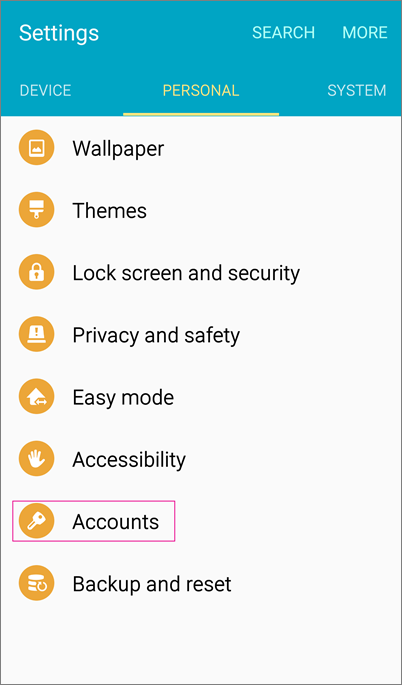 If you only want your email account to sync to your phone, tap Next and follow the rest of the prompts.However, if you want other sync options, such as syncing your calendar and contacts as well, select Manual setup and follow the steps below.NOTE: The manual steps below are for Outlook.com accounts only. If you’re trying to set up a Yahoo, Gmail, or iCloud account, check those providers for information. On the type of account page, select Exchange > Next. Type your password and select Next. Make sure your full email address appears. For example, @outlook.com. If Domain and Username are separate text boxes on your device, leave the Domain box empty, and type your full email address in the Username box. Use the password that you use to access your account. You might need to replace what’s there with s.outlook.com for any email account ending with @outlook.com, @hotmail.com, @msn.com, or @live.com, including international domains, such as @outlook.co.uk, or any custom domains hosted on Outlook.com. On Account options, change or accept the default sync settings, and then select Next. Name your account if you want and then select Next. Make sure you entered your email and password correctly and try again because even one small typo will result in an error. If you’ve turned on two-step verification, and you see an incorrect password error, see the section Troubleshoot email setup in this topic. If you synced your calendar and contacts, go to those built-in apps on your device to view any items that might be there. If you synced tasks as well, you should see them in the calendar app on your device. It might take a few minutes for everything to sync. You can also use the browser on your device to check your email account ending with @outlook.com, @hotmail,com, @msn.com, or @live.com email. Go to http://m.mail.live.com, and sign in to your email account. Learn more about Office 365 mobile setup. If you continue to experience problems, contact us on 1300 755 615.